Many homeowners have heard that homeownership is a great investment. However, knowing why and how is a different story. This is especially pertinent when it comes to home equity, which is often a homeowner’s largest financial asset, and can make up over half of their net worth. But how can you use your equity to your advantage? Seeing as April is financial literacy month, now is a great time to brush up on your home equity know-how. 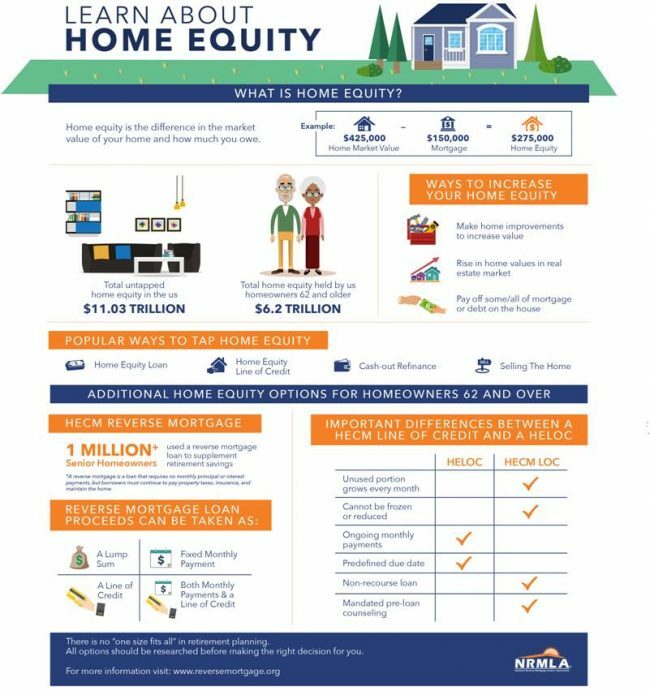 A recent article from the National Reverse Mortgage Lenders Association titled An Introduction to Housing Wealth: What is home equity and how can it be used, offers great insight into home equity and the myriad ways you can use it. According to the three-part article, home equity can be both tapped and used in a variety of ways. The way you should use your equity will depend on several variables, including your age, wealth, financial and family goals, and work or retirement situation. Your home equity is, plainly speaking, the value of your home minus your mortgage balance. So how can you grow your home equity? Paying off some or all of your mortgage debt, or any other debt you have on the house, will increase the equity in your home. However, this is not the only way for your home equity to grow. Another way to bump your equity is for the value of your home to rise. Whether it’s from market fluctuation or improvements made on your end, when your home value grows so can your equity. The following infographic, provided by the National Reverse Mortgage Lenders Association, offers great insight into home equities and how you can tap into them. For more information on how you can use your home equity, read the National Reverse Mortgage Lenders Association’s three-part article, here.